Health insurance is protection for individuals, children, and families that assist in paying for medical expenses. In many places the government covers health insurance and there is no need to purchase a policy because it is seen as a basic human right. In the United States however, health insurance is a mandatory obligation to all citizens of the country and except for special circumstances, it is the individual’s responsibility to be sure they are covered. As every person no matter who you are or how old you are will need medical treatment, health insurance helps to cover the high expense that in the United States and States like Vermont, you cannot afford healthcare otherwise. You can literally spend thousands of dollars per year depending on your medical needs out of pocket. For a single day spend as an inpatient in the hospital in Vermont, it will cost you roughly 1,400 dollars if you are uninsured. Why pay out of pocket when there are options available to obtain a Vermont health insurance plan no matter how little or big your salary happens to be. Over 10 percent of residents in Vermont do not have health insurance coverage and this is a big problem. Not only will the uninsured have to pay an arm and a leg in medical expenses, they will also not receive timely healthcare at times and follow-ups will become more difficult. Additionally, you will be required to pay a fee when you file your income taxes. Last year in 2017, the fee for not having health insurance coverage was over 600 dollars per adult and over 340 dollars for each child. In 2018, the fee will likely increase. As you can see health insurance coverage is more than important to protect yourself from unwanted financial hardship. It can help you should you become ill or get into an accident resulting in an injury. The options available to residents of Vermont are many and there are also ways to obtain coverage should you be under the poverty line. Each year there is an open enrollment period in which you can update your health insurance plan or obtain new coverage. In Vermont the open enrollment period for the upcoming 2018 year has ended on December 15, 2017, however you still may be eligible for health insurance coverage if you qualify for CHIP or Medicaid or if you have experienced a certain life event. It is important to find out if you are eligible for the special enrollment period as soon as possible because even if you do qualify you may have limited time. 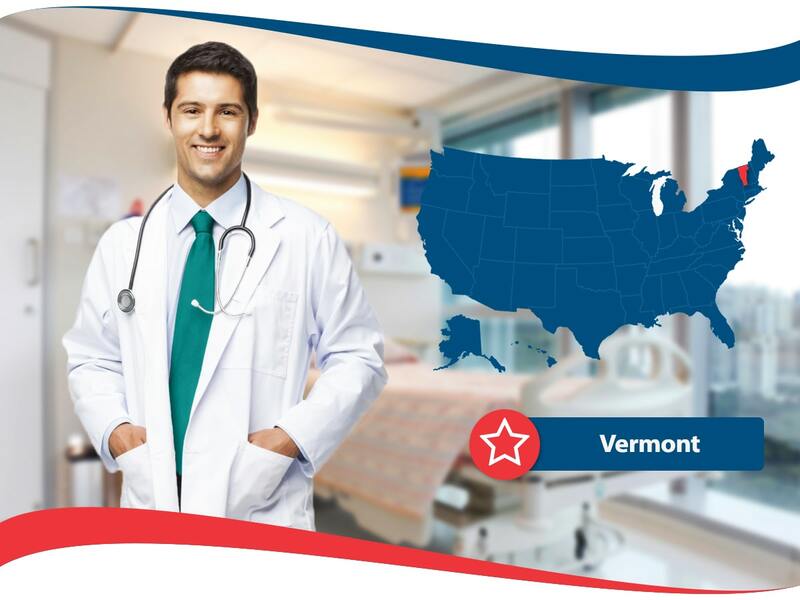 You can find out by contacting any health insurance company that offers plans in the state of Vermont. Quotes are free and give you information about the cost of any particular health insurance plan. By obtaining quotes for several health insurance plans so you can get as much information as possible about what is available to you. With a quote, you will often also receive information about what is included and not included in a plan. So shop around, and get free quotes, as it is one way to see your options. Once you have the information, you can compare and contrast and narrow it down to the best option for you and then wallah, you know what health insurance plan you should choose. What is included in the health insurance plan is equally important to the cost of the monthly premium. Consider your medical needs before requesting the quotes so you know what you need minimally. Make sure you read the health insurance plan contract all the way through before committing to a plan and also that you understand the terms. Once you have all the quotes in front of you it is time to take on some basic research. By finding out the background of the health insurance companies you may do business with, you are looking for past complaints or information that prove solid financial standing. What is the Difference Between PPO and HMO Plans? When deciding on a health insurance plan for you and or your family there are two common plans that often come up in the state of Vermont: HMO plans and PPO Plans. You may have heard of the terms PPO plan or HMO plan but probably do not quite understand the difference. PPO stands for Preferred Provider Organization and HMO stands for Health Maintenance Organization. The differences between these two plans often have to do with the size of the plan network, the ability to visit specialists, the premium amount, and the coverage for out of network services. PPO plans have more flexibility in terms of who you choose to be your doctor or what hospital you visit. There is also a network of medical providers but there are fewer restrictions and you may be able to see an out of network doctor or specialist without having to pay out of pocket. Premiums are higher than HMO plans and there is typically a deductible.